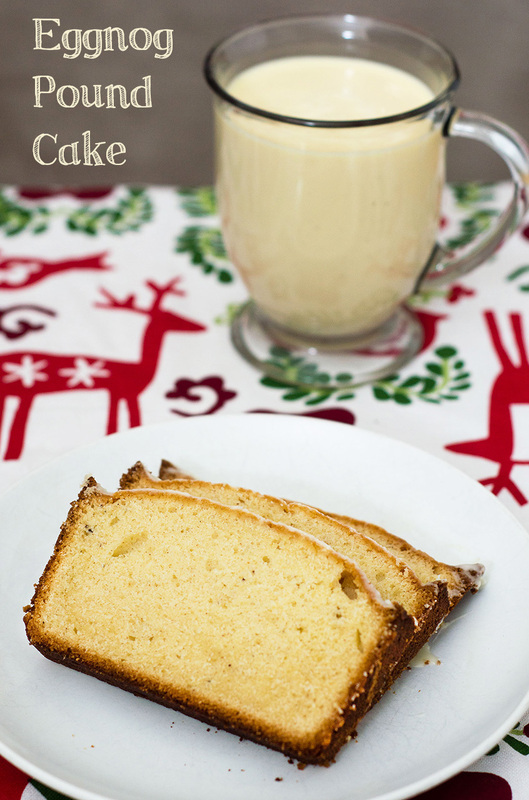 Eggnog pound cake makes a delicious Christmas dessert, or package it up to give as a homemade gift! Welcome to Day 1 of Christmas Week. This annual event was started in 2012, and is hosted by Kim of Cravings of a Lunatic. This year we have over 35 bloggers sharing festive sweet recipes for the event. 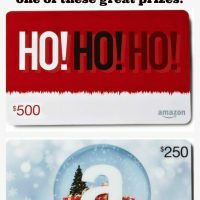 Plus we all chipped in for a huge Amazon Gift Card Giveaway so be sure to enter! Christmas is the time for one of my favorite flavors: eggnog. I can only take a straight glass of eggnog in small doses. But I can eat my weight in eggnog flavored baked goods. Or drink my weight in eggnog-flavored lattes (thank you to a certain coffee chain for bringing that flavor back this year!). 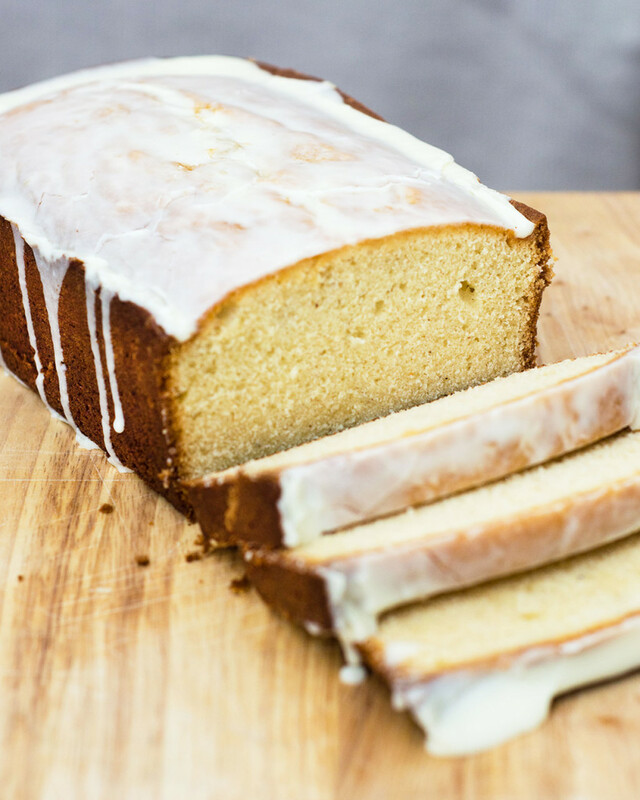 This eggnog pound cake is a particular favorite because traditional pound cake is one of my favorite kinds of cake. I love how dense and rich the cake is, not to mention the fact that you can get away with eating this cake for breakfast. This pound cake gets a double dose of eggnog. It’s an ingredient in the cake, and also in the glaze. If that’s too much eggnog for you, omit the glaze and simply dust the top of the cake with powdered sugar. Or even leave it plain, and serve with vanilla ice cream. It’s a very easy cake to make from scratch; it follows the mixing method of most from-scratch cakes. If you don’t own a 9-inch loaf pan (or you just want more cake, I won’t judge), you can double the recipe and bake it in a bundt or tube pan. Bake at the same temperature as directed in the recipe, for 70 to 80 minutes. In a medium mixing bowl, stir together the flour, baking powder, salt, nutmeg and cinnamon. Set aside. In the bowl of a stand mixer, cream together the butter and sugar until fluffy and pale in color. Add in the eggs, one at a time, beating well and scraping down the bowl after each addition. With the mixer on low speed, add about a third of the flour mixture and mix until combined. Add half of the eggnog/vanilla mixture and mix until combined. Add another third of the flour, then the remaining eggnog, then the remaining flour mixture. Stir on low speed until the batter is smooth. Scrape the batter into a 9 inch loaf pan sprayed with nonstick cooking spray. Bake for 50 to 60 minutes, until golden brown on top and a toothpick inserted in the center comes out clean. Let the cake rest in the pan on a cooling rack for 20 minutes before removing from the baking pan to cool completely on the wire rack. For the glaze, whisk together the egg nog and powdered sugar, adding egg nog until desired consistency. Drizzle over the cooled pound cake. Let the cake sit at room temperature for a few hours for the glaze to set before serving or storing wrapped in the refrigerator. I’d pick a slice of your cake over a glass of eggnog every single time!!! I like to make Red Velvet Cheesecake! I like to make cookies during the holidays. I love to make different types of cinnamon rolls! Just printed out the recipe and plan to make it this week. It will be perfect for the holidays. Thanks! I love to make cheesecake for the holidays, but this year, I will be making a pumpkin pie with a twist! I too can only take eggnog in small doses, but as a breakfast item . . . I’m so on board. 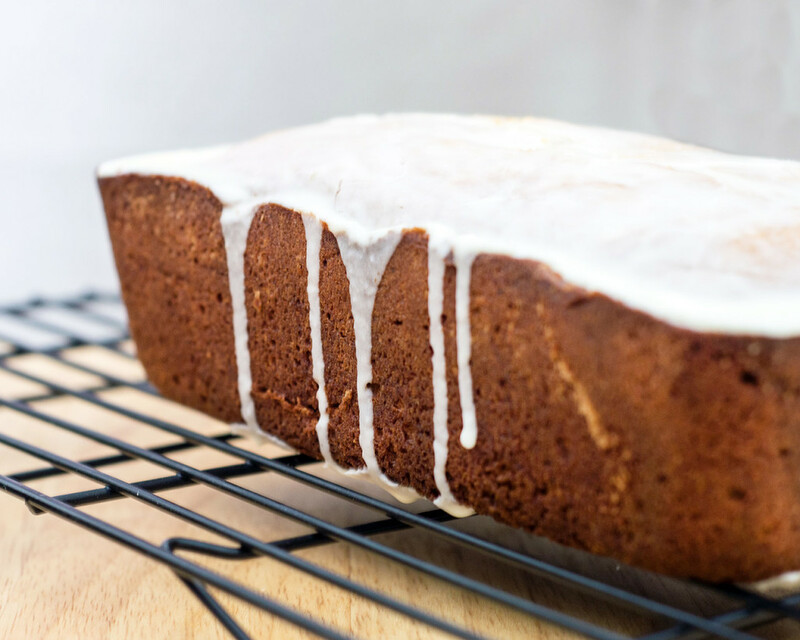 I love the idea of eggnog in the cake as well as the glaze. Very clever! This is one beautiful cake! Eggnog everything right now! 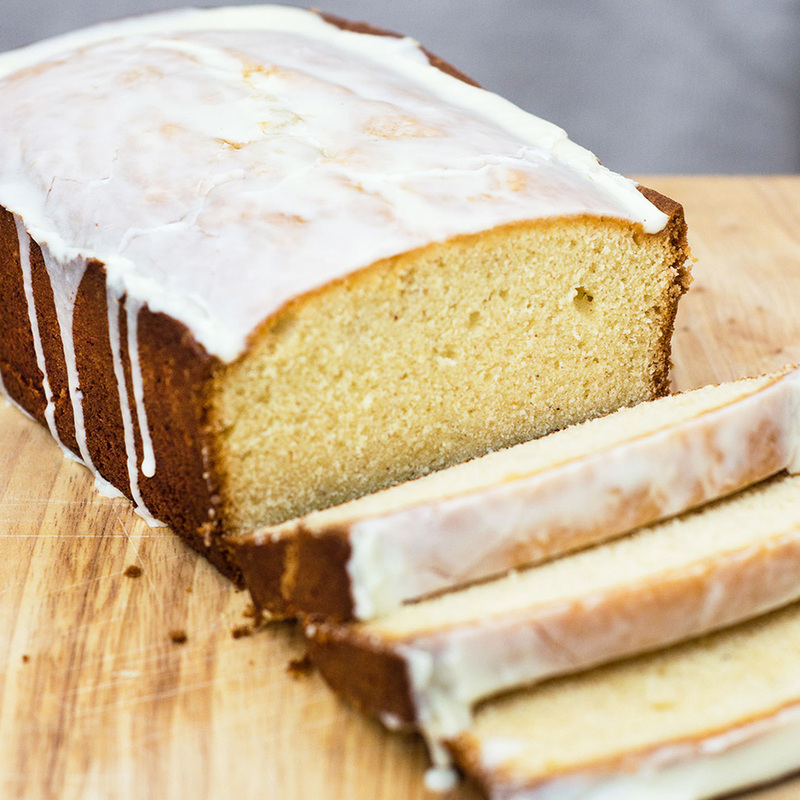 Move over Starbucks—your Eggnog poundcake looks absolutely perfect! I am a sucker for anything eggnog! My dad would have gone nuts for this one. He was such a huge eggnog fan. 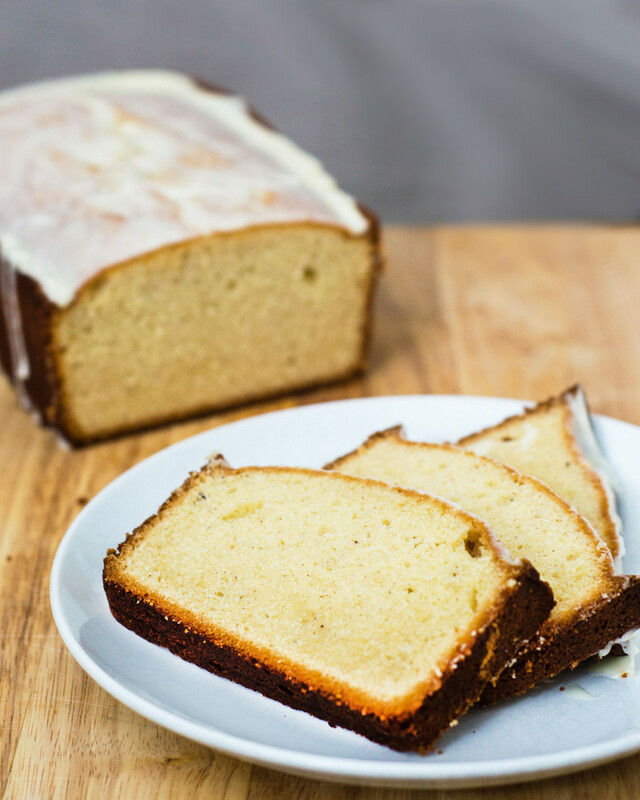 I love this pound cake and can’t wait to try it. Colleen, I’m with you on preferring eggnog in baked goods to the drinking kind. This lovely cake is perfect for the holidays. My favorite sweet treat to make during the holidays is homemade sugar cookies with buttercream frosting and lots of sprinkles.